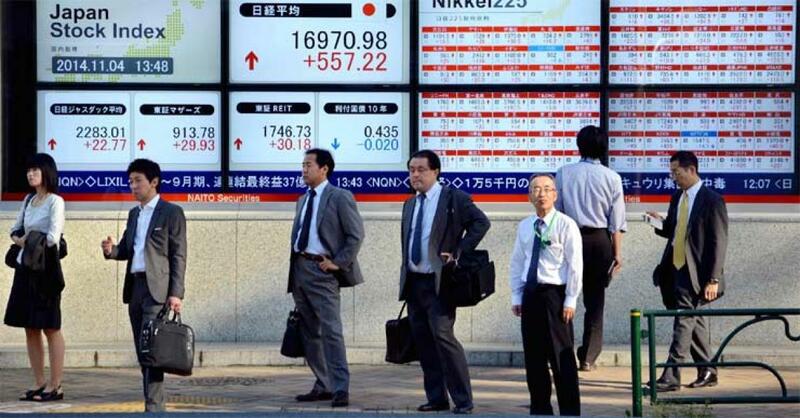 Tokyo stocks rose 1.33 percent on Tuesday morning amid anticipation of hints at further monetary easing following a two-day Bank of Japan policy meeting set to wrap up later in the day. The 225-issue Nikkei Stock Average was up 239.55 points, from Monday to end the morning at 18,205.25, reported Xinhua news agency. The broader Topix index of all First Section issues on the Tokyo Stock Exchange gained 15.89 points (1.09 percent) to 1,478.30. Gainers were led by transport equipment, foods and agriculture and fishery issues.